A serious hi-fi receiver to make the most of everything from MP3 to vinyl. The most powerful amplifier in the Topaz range is designed to be the heart of your high-end separates system. A room-filling 85 watts per channel is backed by a dedicated subwoofer output as well as two sets of speaker outputs – so you can listen in two rooms at once or bi-wire your main speakers for a true audiophile performance. In keeping with our famous “Sound First” audio principles, our audio-obsessed boffins have insisted on using premium components throughout in a quest for perfection. Toroidal transformers, usually only seen in high-end separates, offer stunning music reproduction and minimal distortion. 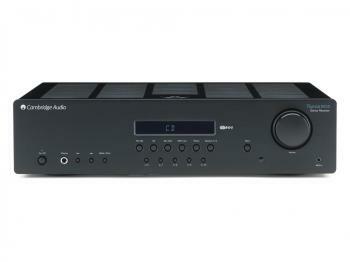 And the SR10 uses the same discrete output stages as our Azur AV receivers costing twice the price. However you like your music, the SR10 has it covered. It boasts a built-in phono stage, so you can instantly connect a turntable; a direct front panel input for iPod, smartphone or other MP3 player – no need for a dock and no fiddling around; and built-in FM/AM radio with RDS. Four inputs on the back let you connect CD player and even DVD, Blu-ray or TV.